Your answers to the following questions will provide Mayor Jacobs and the Board of County Commissioners with supplemental information related to job growth in Orange County. What do you think of Orange County as a place to do business? If your company is new to the area, what were the drivers that made you decide to establish operations in Orange County? What are your opportunities for job growth? What are your barriers, if any, to job growth? Do the skills of the area's available workforce match your needs? What specific things can the state and county do to help your company grow and succeed? 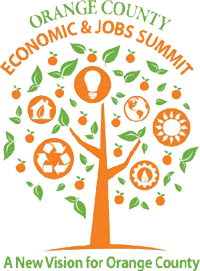 Visit www.OCFL.net/EconomicandJobsSummit for more information about future Summits.